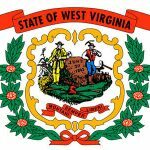 While individual states are moving forward with online poker and gambling legislation, hope is still burning for movement on the federal level. 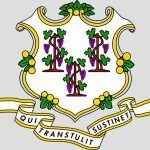 Progress in that regard continues ever so slightly, as the Senate Subcommittee on Consumer Protection, Product Safety, and Insurance has announced that a hearing on online gambling will be held on Wednesday, July 17 at 10:00 a.m. ET. It certainly is favorable to online poker players that federal lawmakers continue discussions on Internet gaming, even though past attempts at legislation have fallen short. The hearing is entitled, The Expansion of Internet Gambling: Assessing Consumer Protection Concerns. Player safeguards have long been a focus of online gambling regulation talks among lawmakers. As well they should, as many U.S. players who frequented UltimateBet, Absolute Poker and Full Tilt prior to Black Friday have still not been reunited with their account balances more than two years after the sites were shut down. The hearing scheduled for next Wednesday will be hosted by a subcommittee falling under the direction of the U.S. Senate Committee on Commerce, Science and Transportation. The meeting’s full agenda has yet to be announced, as has a complete list of witnesses expected to testify. PokerNewsReport will provide that information once it becomes available. 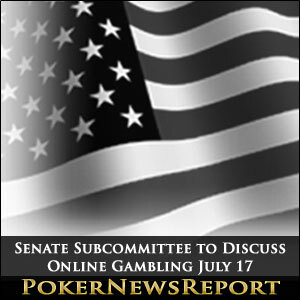 U.S. Senate committee hearings related to online gambling were held previously, the most recent being July of last year. Entitled Regulation of Tribal Gaming: From Brick & Mortar to the Internet, the concerns of tribes were discussed by the U.S. Senate Committee on Indian Affairs. That followed a meeting by the same committee in February 2012, whose topic was Oversight Hearing on the U.S. Department of Justice Opinion on Internet Gaming: What’s at Stake for Tribes. Three months earlier, the committee dedicated to tribal issues kicked off with a debate on The Future of Internet Gaming. A bill to regulate online gambling was proposed on the federal level last month by Rep. Peter King (R-NY). The Internet Gambling Regulation, Enforcement, and Consumer Protection Act of 2013 aims to permit online poker and casino games with an emphasis on including all gaming interests equally. 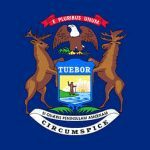 The 134-page measure has been panned by many critics despite attempting to alleviate concerns of opponents of past online gaming legislative proposals. Rep. Joe Barton (R-TX) has also indicated that he will be proposing a new measure shortly that will likely restrict Internet gambling to poker-only. That is similar to the famed Reid-Kyl bill drafted late last year that failed to garner even an introduction in the lame duck Congressional session following the November elections.